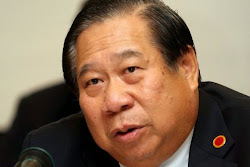 REHDA’S Datuk Ng Seing Liong (pic) does not think the property sector is coming to a halt any time soon. “The population doesn’t permit a total slowdown. There is still a huge demand for affordable housing. Statistically, we still need another one million to 1.5 million houses so we have not reached that stage on affordable housing yet,” he says. But he admits that 2015 is going to be a “challenging year” for the housing industry. The introduction of the Goods and Services Tax (GST) in April too, he believes, will put a dent in the housing industry. Residential property is exempt from GST but Rehda is asking for affordable housing (RM500,000 and below) to be zero-rated instead so that developers would be able to claim the input tax from suppliers for that segment instead of being asked to absorb it. Ng is quick to point out that while some other materials in the industry have a 5% and 10% SST on them, these in fact are “not major building and construction components”. Steel, bricks, and sand make up 44% of the construction cost and with these being charged GST, the cost is inevitably going to increase, he says. “We anticipate that the GST will result in a 2.6% increase in house prices,” says Ng, who is chairman of the GST Task Force for Rehda (Real Estate and Housing Developers Association Malaysia). Recently, the price of Brent crude oil fell drastically below US$50, which is a six-year low. Last June, it was US$110 a barrel. And the price of steel too has been falling. Ng predicts that the government would be able to make RM10bil from the GST for this year. He says the GST has often been referred to as a “fairer” and “more equitable” tax. If the GST is implemented in its “current form”, he says, it will cause financial hardship, add to the cost of development and increase house prices. The industry sent a memorandum to the government a few months ago to express these concerns and Ng is still hoping that there will be changes before April. He points out that there is actually a huge income potential the government can derive from tourists. Ng is biased towards the property sector and does not understand the importance of tourism to the Malaysian economy and its Ringgit!